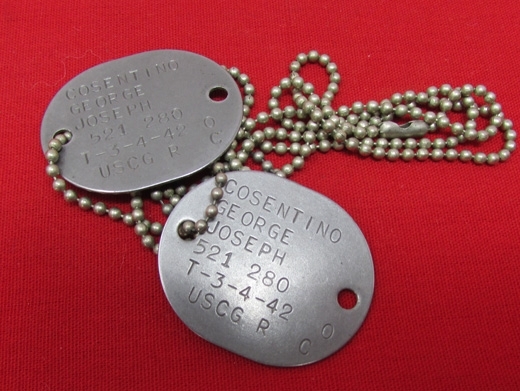 Original era manufacture. 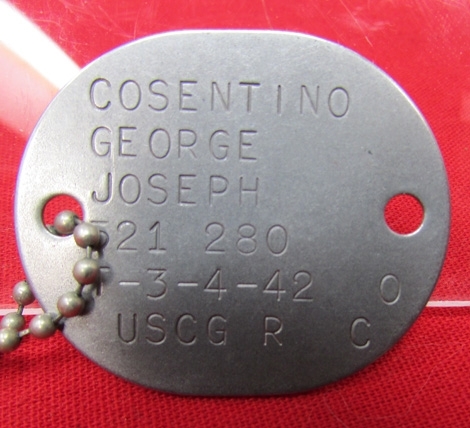 US WWII identity tag set belonging to one George Joseph Cosentino USCG. 1942 Tetanus inoculation.